​Sadly, Dave lost his battle with cancer on March 23th, 2018. We honored his memory during our outing. 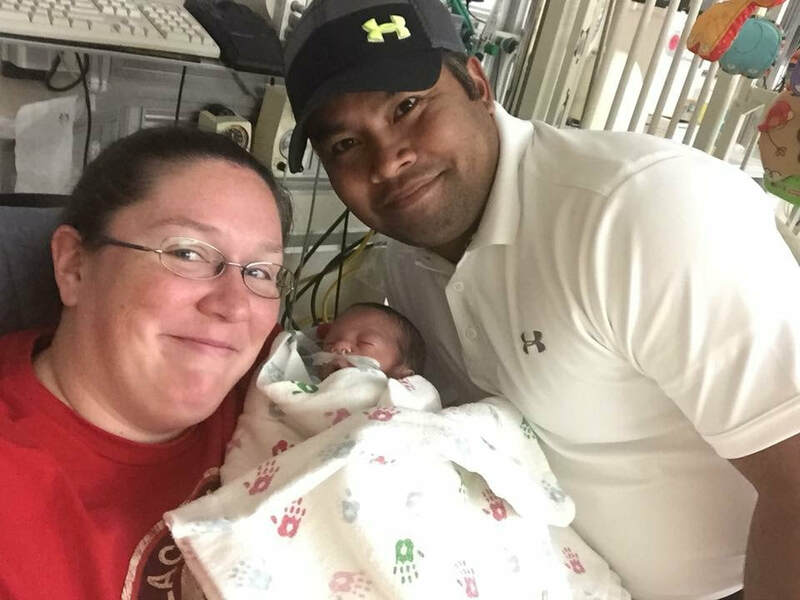 Dave Prak was only 38 years old and is survived by his wife Erin and their beautiful baby boy Declan. These last few years have been extremely trying for this incredible family as you'll read in the referral letter below that we received during their application process. Funds raised at our outing will go to help Dave's family with their numerous non reimbursed medical bills. I'm writing this letter on behalf of the Prak Family. I strongly urge you to consider theirapplication for financial assistance. I have been a friend to Erin for almost 20 years and havebeen lucky to call her and Dave friends for quite some time. Erin and I played basketball together in high school and have remained friends throughout college (where she met her amazing husband) and on. I will never forget the moment Erin shared Dave's diagnosis. It felt like time completely stopped for me. Dave has always been the kindest and very selfless person. It is no wonder he and Erin are true loves, each always doing whatever they can to help each other. A few years ago some friends and I started an alumni day at our high school. A chance to bring the "glory days" back. Dave has always been our biggest supporter. We have been doing this for 5 years, and Dave hasn't missed a single game. He is always there to help setup, take down, and cheer us on, even when we don't win the game. I think it reminds him of the days when he met Erin and cheered her on throughout college when she played basketball. He is such a cheerleader, and now he needs us to cheer him on.I have been very lucky to spend a considerable amount of time with Erin, Dave, and Declan these past few months. Every time I am with them, they are so unbelievable appreciative for whatever the visit. Whether it is a meal, a few hours of babysitting, or a walk for the dogs,you cannot believe how many times you are thanked for all your help. 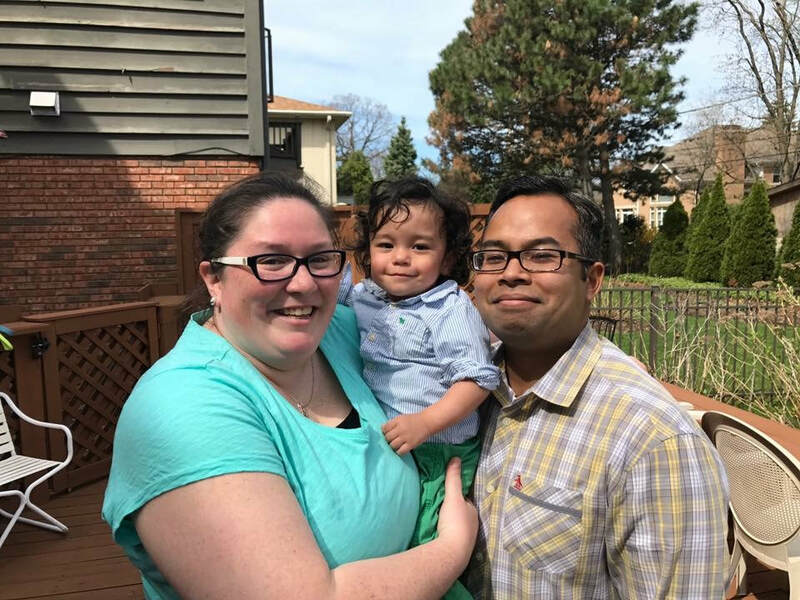 It is hard to ask for help, especially when you are the person who is always helping others.Erin and Dave are familiar with hard times for their family, not once, but twice now. Over 2 years ago, when beautiful Declan was born over 10 weeks early, their entire lives changed.The past 2 years have been filled with doctors, physical therapists, speech therapists, etc. Declan is now a thriving, healthy, and happy 2 year old boy, and his entire world was turned upside down. Just a few weeks ago on one of my visits, Dave came down to say hello. Declan's eyes lit up and he was so excited to play with his dad, but it was hard for Dave. He is such an amazing father and I cannot wait for the day Dave and Declan can wrestle on the floor and shoot some hoops. Until then, lots of snuggles and books for them. Anytime spent with each other is precious. No family is ever financially prepared for when cancer hits. No one should ever have to wipe out their savings and go into severe debt just to provide treatment for a loved one while trying to manage to put gas in the car to drive to the hospital or provide groceries. If I could do anything, I would make this all go away and have the Prak family live a normal life again. But what is normal? What is their normal? Since his diagnosis, Dave has been one of the most uplifting and inspiring people I know. 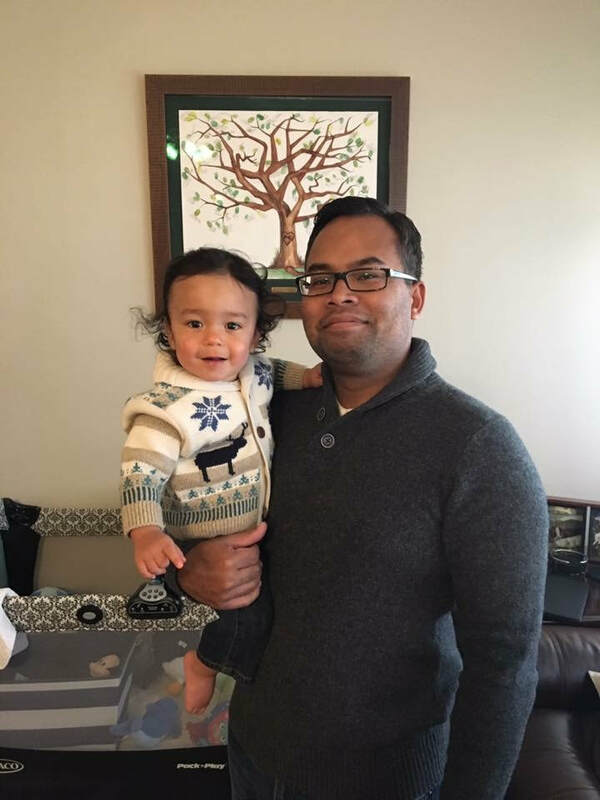 He reminds us to love each other, to pray,to focus on time, and to realize your priorities.Any assistance BTB could provide to the Prak family would be wonderful. You have helped so many families so far, and this would be another grateful family! With Dave in the hospital this weekend and Erin never leaving his side, the littlest help could make a huge difference. Thank you so much for considering the Prak family for any assistance!